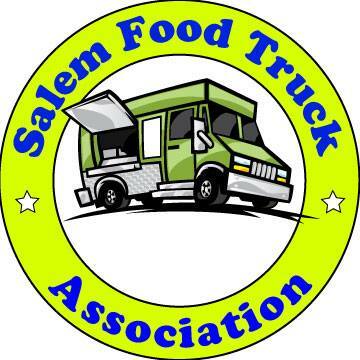 Vote for "Eat Salem Restaurant of the Year"
We pick a week or night and all the Eat Salem readers go to the winning restaurant. We put an ad for the restaurant at the top of the blog for a month. We send them a card with a certificate congratulating them. What's your suggestion? Comment now. I think it would be cool to pick a night and meet there, but all of your ideas are good ones. I'm really surprised that these were the most mentioned. No Christo's??? No Marco Polo??? Am I really the only one that loves two more than any/all of these nominees? I like the "Meet there" one. It has as a definite positive that if I've been there then I'm helping support a favorite, and if I haven't been there, I'm being introduced to a good restaurant. I am disappointed to not see Marco Polo listed. Their lunch buffett is one of the best things going in Salem. New york pizza is a rarity in Salem and makes great pizza, fast and cheap. i think you should do all three! a winning salem restaurant not only deserves our business, but a way of letting them know how much we like them, and a little extra advertising on your blog. it doesnt sound difficult, especially since we'll all like the winning restaurant so much it won't be a chore to go there! That is strange that an obscure restaurant like Apizza would get 85 people to vote here. There are better restaurants in Salem by a long ways. It is ok, but very expensive. I didn't see my favorite restaurant and hangout on the list. I did read some comments on Thompson's Brewwery and Public House and I think it ranks up there with one of the best. Great food, outstanding microbrews and you can't beat the casual friendly atmosphere of the place. I call it Salem's answer to "Cheers" of TV fame. I am soooo disapointed to not see the award winning "best mexican restaurant" La Hacienda Real that has won for six years in a row already. The West Salem location is even better, but they all are fantastic, no wonder they get first place. But this really disapoints me not to see them included in the list. By the way - Who picked that list? I don't think the people in our community did, otherwise La Hacienda Real would be one of the first ones listed.